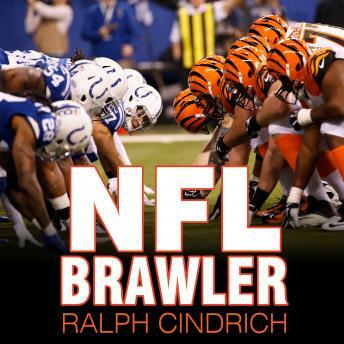 NFL Brawler is a raucous first-person account of an NFL under siege by the game's first player-turned-agent, Ralph Cindrich, the original 'Blind Side' agent. This entertaining pro football memoir takes listeners behind the scenes of the game's most important and outrageous drafts, deals, and trades; takes on NFL scandals by telling it like it is; and takes listeners closer to the real action of the sport-from locker rooms to boardrooms, and into the worlds of agents and players-than any book to date. Chronicling more than thirty years in the professional football business, Ralph Cindrich, twice named by the Sporting News as one of the 100 most powerful people in sports, writes about the who's who of professional football: NFL personnel like Jimmy Johnson, Bill Polian, and Bill Parcells; NFL owners like Art Rooney and Al Davis; sports agents; and, of course, NFL players like Herschel Walker, Bill Fralic, and James Farrior. While taking certain aspects of his beloved sport to task, Cindrich delivers a memoir that is a must-listen for any fan of the game.